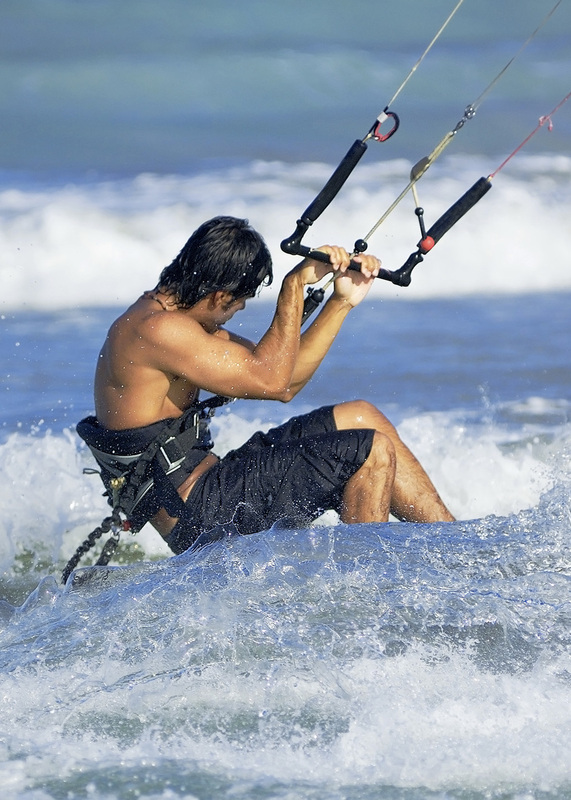 Interested in giving kiteboarding a try? It can seem like a difficult sport to learn at first, but we can teach you how to become a proficient kiteboarder! Through our organized classes for all skill levels, we'll teach you the basics to get you started or advanced skills to take you higher. Our certified trainers have years of experience and care about the success of our students. Time to get wet! In this course, students will learn how to control a bigger kite, how to launch and land the kite, board retrieval techniques and body dragging. Lastly, we will go over self rescue techniques and what to do in case of an emergency. Time to start gliding through the water! In this course, students will start attempting getting up on the board, relaunch the kite, board skills and self rescue techniques. Depending on the student's ability and learning curve we will teach the student how to stay upwind and transition without sinking or stopping. This course is designed for people who are very familiar with flying the kite and are already doing some short runs on the board but are not able to stay upwind or transition without sinking or stoping. If the student is able to accomplish these skills during the lesson, we can work on special tricks such as riding toeside and/or introduction to jumping. This lesson is designed for people who have great kite skills but are not necessarily very comfortable with the board. We focus on how to properly shift the weight on the board once the student is up and riding. This lesson is not dependent on wind since the student is being pulled by a Jet-Ski. *Result may vary depending on the individual’s unique talent and skills. Whether you're ready to get started or fly higher, we can help!